If you are in the market for a Windows Phone 8 smartphone come the new year, and your preferred carrier happens to be Vodafone, then you just might like to hear that if your are after the Nokia Lumia handset, you might like to hold off purchasing a device until early in 2013 because the Nokia Lumia 920 will be arriving on Vodafone. Vodafone has already confirmed the Nokia Lumia 820, HTC 8X and HTC 8S for the new year, all Windows Phone 8 devices of course, and now they will also officially offer the Nokia Lumia 920, which sits right at the top of the Finnish company’s Windows Phone 8 family. Spec wise as I am sure you will probably already know if your are interested in the Nokia Lumia 920, the device packs a 4.5-inch IPS 1280 x 768 touch screen with Gorilla Glass 2 protection, an 8 megapixel rear facing auto focus camera with dual LED flash and as this is a Nokia device there is Carl Zeiss optics involved, 1080p video and a 1.3 megapixel front facing camera. The Windows Phone 8 smartphone also offers 1GB of RAM, and 32GB of internal storage but lacks any microSD expansion, Bluetooth 3.1, 802.11a/d/g/n WiFi, WiFi hotspot capability, DLNA, NFC, has a 2.5GHz dual core Krait processor running the show, Adreno 225 GPU, a 3.5mm jack, and a 2000mAh battery. Windows Phone 8 OS of course brings a more customisable homepage layout along with integration of VoIP services like Skype, and of course you still get that Live Tiles experience with the Nokia Lumia 920. However it isn’t quite clear just when all four of Vodafone’s Windows Phone handsets will actually come out to play, but the company does say all four Windows Phone 8 devices will arrive in the mobile space in the early stages of next year, and they will announce a release date as soon as they can. So there you have it if your are in the United Kingdom and loyal to Vodafone whilst pondering on just when Vodafone would deliver the Nokia Lumia 920, you at least now know that the handset will be releasing on Vodafone soon, so it is just a matter of waiting. 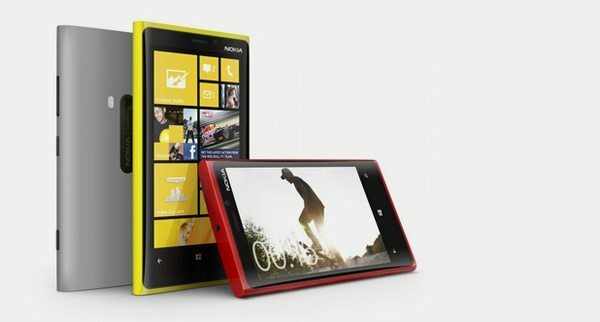 Any of our UK readers hoping to purchase the Nokia Lumia 920 once it becomes available on Vodafone? Really hoping to get this when my contract is up in April! Just wish Vodafone UK would hurry up! Upgrade due in March. Fingers firmly crossed. Vodafone have the best reception near me and I’ve used Nokia phones for years and have been constantly impressed with the build quality and reliability.